Grace is part of the human condition. Let’s own it. Grace, as poets and philosophers have pointed out for centuries, is part of beauty. Some feel it’s more important than beauty. “Beauty without grace is the hook without the bait,” wrote Ralph Waldo Emerson. When we think of beauty, we tend to focus on static qualities of appearance. Grace, however, is beauty in action, whether we’re talking about grace as a spiritual quality, as welcoming behavior, or as a smooth and harmonious way of moving. Graceful movement is perhaps the most underrated of the three types of grace; religious grace or “the social graces” may spring to mind first. But think about movement for a moment. How does it happen? There is so much mystery to movement, which is part of its enchantment. No one really understands how we move, how we manage to get all our parts organized to brush our teeth or take out the trash or play tennis without thinking much about each moment. The mechanisms by which our brains orchestrate movement and get our bodies out into the world–which is at the very core of our evolutionary mandate–remain obscure. They’re simply too complicated to study with the available brain-scanning technology. Talk to neuroscientists and you’ll hear how awestruck they are by the secret choreography of our 100 billion brain cells, all working together to produce coordinated motion. 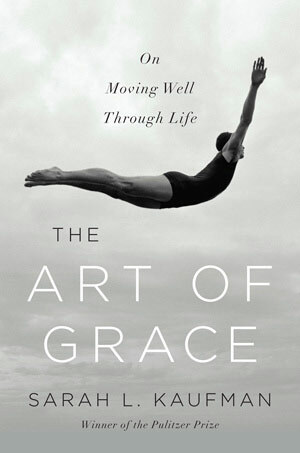 Grace is an habitual practice, which involves and enhances the whole person. Getting up and moving is the only way we’ll move better, and more gracefully. Personally, I think it’s more appealing to view moving as a route to being graceful, rather than as a chore to labor through in order to burn calories or get fit. It’s important to find a physical activity you truly love. For me, it’s swimming; I’m in the pool every weekday morning. And every morning it feels like a miracle. I never learned to swim as a kid, so some years ago I signed up for a swim class for adults. I expected to be the only awkward mom amid a bunch of teenagers–but the class was full of other folks just like me. I’ll never forget the first time I swam a full length, emerging to clutch the wall in the deep end, gasping and amazed. That’s pretty much how I feel after every swim, decades later: awash in wonder. The flopping-around, sinking, sputtering little girl in me cannot believe I can get back and forth across the pool. That bone-deep, full-body, physical deliciousness can come from anywhere: from a long walk through your neighborhood, a run, a bike ride, a hike. The joy of moving is unlike anything else, don’t you find? Health-wise, we tend to place a lot of emphasis on eating right and going organic and cutting out carbs and junk–and those are all important. But getting out in the world and simply moving? That’s the best thing you can do for yourself. As Daniel Wolpert says, We have a brain so we can move. And moving is crucial for our brains. Numerous studies show walking helps you think, and that it may help slow the progress of Alzheimer’s. Students do better on exams after 20 minutes of exercise. Moving does all that, and enhances our gracefulness too. Walking to the post office or the library, taking the stairs, enjoying a good, long stroll at lunch–there are so many ways to move with increasing ease and grace through your day. Moving feels good for a reason: We are meant to do it. We are meant to do it so much that we become expert–and graceful-movers. Our brains and our bodies are designed for grace. How about you? 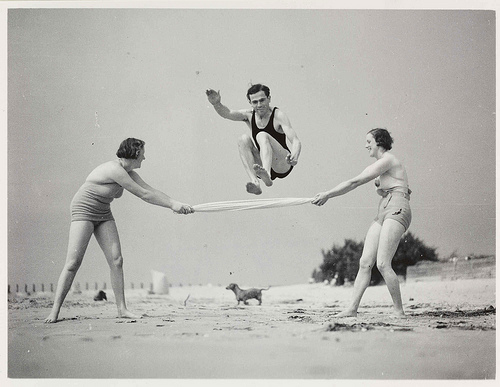 Do you have a favorite way to put movement into your day?